Both statements are useful for pondering the much-discussed footnote 351 of Amoris Laetitia. The permission given in the Apostolic Exhortation for the sacraments to be administered “in certain cases” to those publicly living in adulterous second unions is incompatible with the Church’s understanding of her mission, duties, and the truth. Simply put, it establishes an innovation in sacramental discipline that undermines the whole sacramental order of the Church. The Church exists in order to unite us to God. That union is a gift of grace from God and begins with the forgiveness of sins in baptism. The preaching of the Gospel has as its aim to draw men to seek first baptism, and then the other sacraments. Church law regulates the administration and reception of the sacraments in order to guarantee access to sacramental grace. This regulation, thus, includes provisions to warn against unworthy reception of the sacraments, which does no good for the soul. If you are in the state of mortal sin because of an adulterous relationship, receiving the Eucharist does not communicate to you the graces of the Sacrament. This problem becomes even more serious if you have contracted a second invalid union in a civil or non-Catholic religious ceremony. Reception of the Eucharist by persons in such unions is a grave scandal as it is likely to lead some, if not many, to erroneously conclude: either that the Church no longer teaches marriage is indissoluble and thus no longer considers second “marriages” to be adulterous unions in no way to be characterized as true marriages; or that adultery is no longer a mortal sin and adulterers are no longer judged unworthy to receive Holy Communion. The reality is that the Church has no power to redefine the indissoluble nature of marriage or the gravity of adultery. A marriage does not disappear when you enter a second, invalid union. Similarly, the Church cannot re-categorize adulterous behavior as a venial sin and thus tell adulterers they are free to receive Communion. The Church must proclaim the truth: that adultery is a serious violation of God’s law. Otherwise, it may fall into the very same errors that Cardinal Sarah identified in the secular world today. The Church must also proclaim that the unworthy reception of the Holy Eucharist must always be avoided. In cases where that unworthiness is publicly known, the Church must, as a good shepherd, prevent the wandering sheep from adding the sin of sacrilege to the sin of adultery by refusing to administer the sacrament to those who continue to live in sin. Failure to do all of this in the name of mercy towards sinners is a mistaken approach. The stigma attached to being denied Holy Communion is salutary. The sinner needs to be reminded of his condition, not falsely reassured that he can claim an exemption from the prohibition of Holy Communion by pointing to mitigating factors that allegedly do away with his personal responsibility for committing what is always an objectively mortal sin. The confusion that may have led a sinner to misunderstand the gravity of adulterous behavior in the past ends when the priest confessor informs him of how he must observe the Sixth Commandment, encouraging him to do whatever it takes to conform his life to the Gospel. 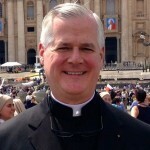 Any approach that would further confuse the sinner by telling him that the Church now has decided that he can be absolved and receive Holy Communion because for various reasons (“mitigating factors”) he is not considered guilty of mortal sin for future acts of adultery is unacceptable – and frankly untruthful. The shepherd’s duty is to lead the sheep into the good pasture of truth, where God’s grace strengthens the repentant sinner’s resolution to live according to the law God gave us. A “permission slip” to keep committing adultery is a serious failure of pastoral charity by the priest advising someone who is living in sin. The permission given in footnote 351 of Amoris Laetitia poses a dilemma for the priest/confessor who knows the Church’s constant sacramental discipline, based upon her unchangeable doctrine. The practical solution to the dilemma is to ignore the unwarranted permission. The greater problem for the Church is that such permission was ever given. It must be withdrawn, for the good of souls.